"Zesk do not live an easy life. Hated and feared by other tribes, they prefer to be left alone." The Zesk are the Agori of the Sand Tribe on Spherus Magna. The Agori villagers of the Sand Tribe were subjected to the experiments of the Great Beings whilst living on Spherus Magna, gaining stinger tails in the process and becoming quadrupeds. Prior to the Core War, the Zesk acted as gatherers for the Sand Tribe, and in return the Vorox ensured their safety. They were ruled by the Element Lord of Sand and at the time of the Shattering, a large population was present in the desert area of the planet which became an independent planet called Bara Magna. While on a quest to find a way to defend Vulcanus from the Bone Hunters, an Agori went looking for a Zesk to try his Thornax Stew, on the advice of the Glatorian Malum. He found a Zesk hiding in the sand, and avoided attack by quickly feeding it some of the stew. Satisfied, the beast spat out a musky-smelling ooze, the distinctive odor of which would identify him to Vorox as an ally of the Sand Tribe. A small pack of Zesk attacked a caravan passing in the Wastelands, stealing some of the contents. The Zesk were driven off by the former Glatorian Gelu, the caravan guard. All Zesk possess scorpion-like tails and walk on four legs as a result of modifications made on them by the Great Beings. In addition, they possess enhanced senses of sight and smell. The Zesk use these enhanced senses as they lurk beneath the sands to ambush those who wander into their region. The saliva of a desert Zesk can mark people as Sand Tribe allies to the Vorox. When fighting large foes, they surround the foe and chitter to use their numbers to their advantage. If the rider is mounted the Zesk try to shake him off his mount. Zesk possess natural stinger tails as defensive weapons. 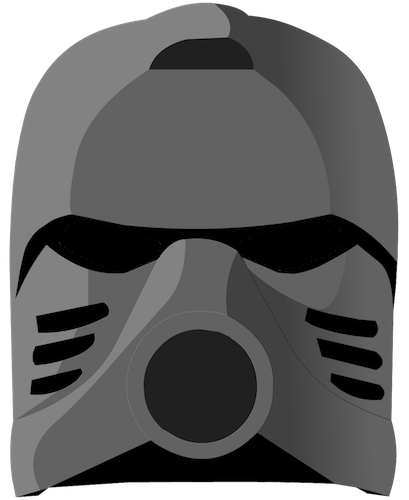 They also wear their old armor and helmets, which give them a four-eyed appearance. A Zesk was released in set form in early 2009, containing sixteen pieces. This page was last edited on 26 February 2019, at 13:41.